Hello. My name is Georganne. It's been 12 days since my last drop of sanity. December is full of things that I love --giant mounds of snow, Christmas, more cookies than I could imagine, endless hours with my children because they are out of school for weeks at a time....but when you put them all together and take out every ounce of light after 5pm and then lower temperatures to the single digits.... I have lost my ever-loving mind. And not in the good way. On Monday, I was in the middle of making 12 dozen New Year's Eve cookies, my 2 oldest children had built a train track from one level of our house to the next and were fighting over who got to throw the cargo down the stairs to (at) their youngest sister, while my 18 month old was crying non-stop and refusing to let go of my legs...and I *actually* thought for 12 whole minutes...that that exact moment in time would be the perfect choice to begin potty training. 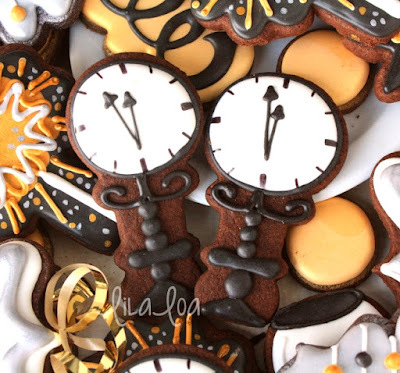 I think I love the idea of New Year's Eve cookies more than I actually like making them. On the off chance that you have also made more cookies during the month of December than you ever want to see again in your lifetime...I've rounded up some of my favorite New Year's Eve cookies! Some with tutorials...and some to just stare at. I pretty much love every New Year's set that Callye from Sweet Sugarbelle has ever made. And with the exception of the black eyed peas... they almost all include this gorgeous ribbon confetti design! Learn how to make them HERE. 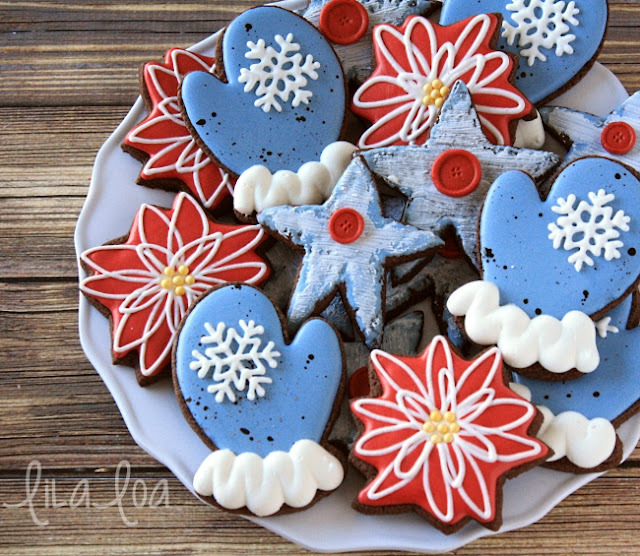 I have to post this before my kids see because seriously -- HOW COOL ARE THESE Holiday Party Cracker Cookies made by Julia Usher??!!! See the tutorial HERE. 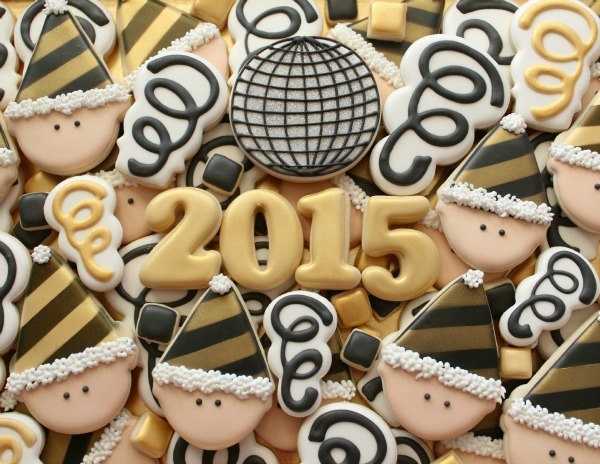 The colors on these New Year's Eve champagne glass cookies from SweetAmbs are perfection! (As are those gorgeous bubbles!) You can get the tutorial AND color formulas HERE. I turn off my phone notifications all the time and then my husband is like, "Why don't you love me? I called nine hundred times and I thought you had moved to China because you never answered." 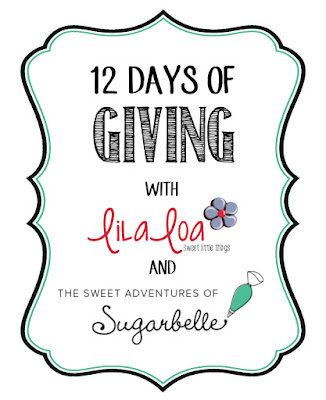 12 Days of Giving with Sugarbelle and LilaLoa -- BONUS DAY!!! What's a giveaway without MORE GIVEAWAYS??!! We finally have all 12 Days of Giving up and to celebrate... we're adding ONE MORE!! Today's prizes come from my good friend Tunde Dugantsi. 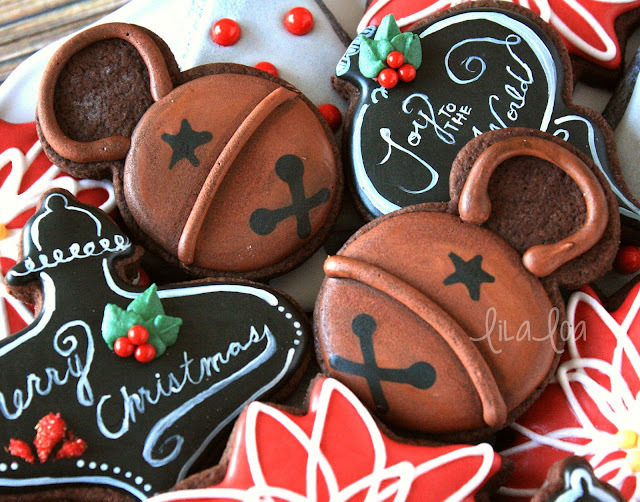 You may have seen her gorgeous 3D heart gingerbread creations roaming around the interwebs. Or you might even have been lucky enough to take a class from her at CookieCon!! If you didn't take a class from her... today could be your lucky day!!! Everyone gets one easy entry! Just click that ENTER box on the widget below! To earn extra entries, go visit the sponsors! You must be 18 years or older to enter. Giveaway ends at midnight MST on December 23, 2015. Peanut Butter and I have a love-hate relationship. And by that I mean, sometimes I love it and sometimes I hate it. Those Easter Reese's Peanut Butter Eggs? Love beyond all reason. Peanut Butter Captain Crunch? HATE. Squished up peanut butter and jam sandwiches from the bottom of my backpack? LOVE!!! Peanut butter breath? Another hate. 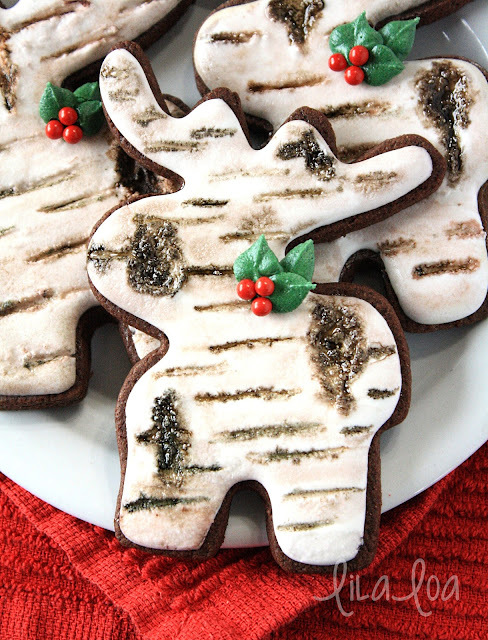 But these cookies are a straight up win! A soft, chewy cookie with a sweet peanut butter flavor that won't spread when you bake it... it's everything I want in a peanut butter cookie. The best part is that I don't even have to decorate them. Dip half of the cookie in melted chocolate and people will forget what day it is....not to mention whether they were decorated or not! I really want to try these with a caramel flavored royal icing though. I'm pretty sure it would be amazing. Or a complete catastrophe. It's a risk I'm willing to take. One time it snowed 2 feet in a day. And I spent my entire life shoveling. And I never got to do a single thing from my task list. Except the laundry. But that barely counts because it is on my task list every stinking day of my life. And all of my muscles hurt from that crazy shoveling. And I was hoping there would be some kind of winter dinner-fairy that would make food for my children while I cuddled up in a blanket watching a movie. As it turns out... that was just a rumor. Started by me. I did, however, get to pick up my children from school on a sled. And all the other kids were jealous because they had to trudge through the knee high snow like regular people. So...I'm pretty sure I was "favorite parent" for at least an hour. You know, until I made them actually pick up their own things and put them away. It's December 11 -- which means we are quickly approaching the shortest day of the year. And there is a storm coming in...so it's pretty much been dark since 2 pm today. I love it. It gives me extra hours of staring at the Christmas Lights and I can totally justify wearing my pajamas all afternoon while lying under a blanket and watching cookie decorating videos! Everyone gets one easy entry! Just click that ENTER box on the widget below! To earn extra entries, go visit the sponsors! You must be 18 years or older to enter. Giveaway ends at midnight MST on December 15, 2015. I got a babysitter a few nights ago. I just put my coat on and walked out the door. I wasn't carrying 900 bags "just in case." I didn't have to buckle 3 children, myself, and then the baby again because she's mysteriously figured out how to unbuckle herself. I talked to actual people. I ate cheese that I didn't know how to pronounce and no one wiped their fingers on my shirt. It was like living a whole other life. Except that I'm actually not that good at talking to real people. I get my words all mixed up and I end up saying things like, "Of course I can make you cookies for your Christmas party. It's no big deal! I'll just squeeze you in." Apparently this alternate life I'm leading doesn't involve laundry because Other-Me clearly has all the time in the world for just squeezing people in. one winner will receive a $100 gift card to Rolling Pin Prints! Not only do they sell fantastic cutters (the basket is my favorite!) they also have some stencils too! Remember how I was all "Oooh. It's too hot. I can't sleep. Why won't the heat go away? Winter will be so much fun?" WHAT WAS WRONG WITH ME??!!! Why didn't you SAY something? It's freezing now. And I can't go outside. And it's dark all the time. And my children have caught some kind of I-hate-everyone-and-I'd-rather-scream-than-play-nicely-together bug. And it's not the 24 hour kind. You know what DID make them happy though? It snowed last week. Enough to shovel and build a snowman and everything. While my two oldest were searching every corner of our house trying to find their snow pants and hats and mittens and scarves and an extra pair of socks and coats that *hopefully* still fit... my 4 year old disappeared. I finally found her outside. Making snow angels. In a dress and flip-flops. Clearly...mittens aren't her thing. But *I* kind of love them. Especially in cookie form! December is both terrifying and exciting, isn't it? Each day passing means one less day to be prepared for Christmas...but it also brings us one more day of giveaways!!! 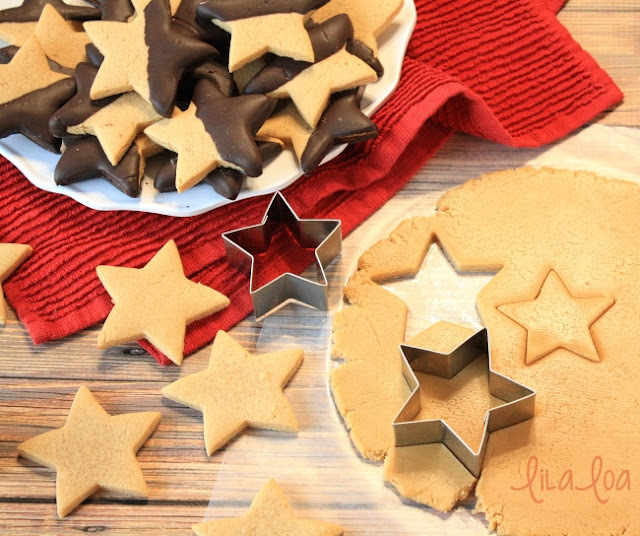 TWO winners will each receive a $25 gift certificate to The Cookie Cutter Kingdom! And everyone else gets $5 off orders over $25. Click HERE for details. If you went to CookieCon...this is the company that donated the white mixer and/or ugly sweater cutters for the gift bags! They have SUCH fun designs!!! AND... those two winners will also receive a COOKIE CALENDAR!! Put together by Melanie of Killer Zebras...the calendar includes cookies from 12 fantastic decorators! Everyone gets one easy entry! Just click that ENTER box on the widget below! To earn extra entries, go visit the sponsors! You must be 18 years or older to enter. US entries only please. Giveaway ends at midnight MST on Saturday, December 12, 2015.
a backdrop from Bubblegum Backdrops!! Everyone gets one easy entry! Just click that ENTER box on the widget below! To earn extra entries, go visit the sponsors! You must be 18 years or older to enter. US entries only please. Giveaway ends at midnight MST on Thursday December 10, 2015. Oh you guys. I just love December. It's full of fun and Christmas lights and basically there is just CHOCOLATE everywhere!!! I just want to have a party every day. Except not the mess. Or the crazy noise. Would that be weird if I invited you over and just asked you to keep it down a little? What if we just have a blog party instead? Callye from The Sweet Adventures of Sugarbelle and I are hosting! Want to come? 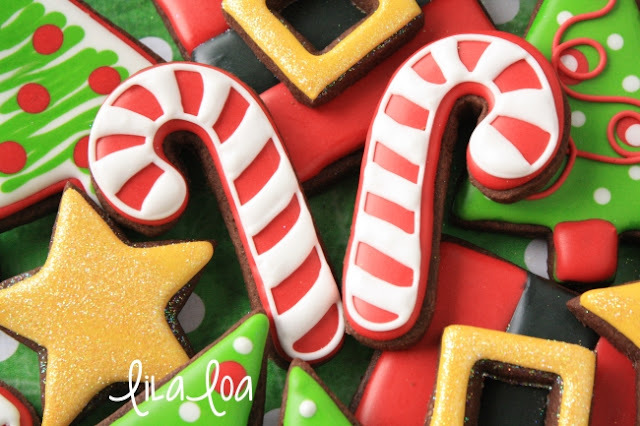 Every day for the next 12 days one (or BOTH) of us is going to give away some super fun cookie prizes!!! Let's get right to it!! Today's winner will get one Dough-EZ Pastry Mat! You know I'm obsessed with this thing, right? I'm not exactly what you would call "neat" or a "clean cookie-dough-roller-outer". But this Dough-EZ? Changed my dough rolling out life! In addition to one winner...Brenda also has a coupon code for everyone! Use LILALOA to get free shipping in the US or $10 off shipping internationally.